This week we were honored to have in our lab a group of representatives from ICBC bank in China! This group is part of the China Executive Leadership Program(CELP). CELP provides education to Chinese executives about how business in the United States run. This programs includes seminars, visits to US businesses, tours around the university and fun social activities. The executives are awarded with a University of Illinois certificate upon completion of the training. 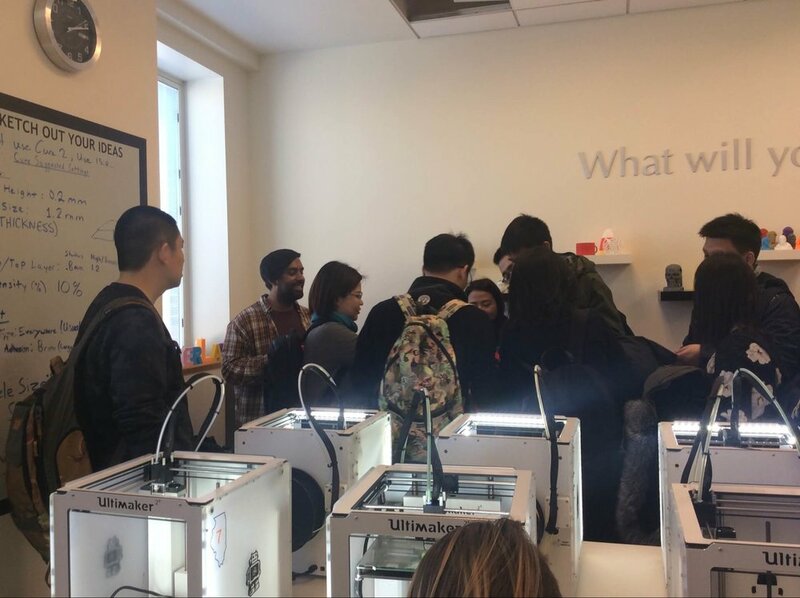 We were very happy to welcome the ICBC executives and introduce them to the world of 3D printing! 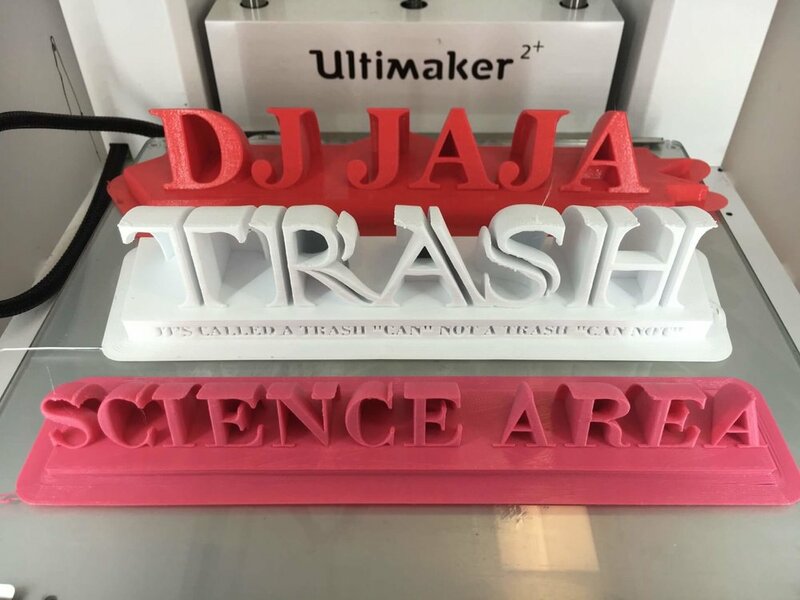 We love to help people find and use 3D printing. Just recently, we were able to help a visitor create a finial. A finial is the ornament at the apex or top of the roof. The beginning stages of the print can be seen in the picture to the left. Sometimes prints require digitally designing the model first. A common digital design software we use in the lab is Autodesk Fusion 360. Fusion 360 allows you to create free-form models. Which allows the user to be more creative in their design. Free-form models is a lot like freestyle dancing. You can do whatever you want, there are no restrictions or rules to follow. If you would like to learn how to use Autodesk Fusion 360, sign up for our workshop! This workshop allows you to explore the different features and settings of Fusion 360. All the while making a name plate for yourself! The pictures below are from the Fusion 360 workshop we held just this week!